As a member of the 1992 world-champion Chicago Bulls, a dashiki-clad Hodges delivered a handwritten letter to President George H. W. Bush demanding that he do more to address racism and economic inequality. Hodges was also a vocal union activist, initiated a boycott against Nike, and spoke out forcefully against police brutality in the wake of the Rodney King beating. In this powerful, passionate, and captivating memoir, Hodges shares the storiesincluding encounters with Nelson Mandela, Coretta Scott King, Jim Brown, R. Kelly, Michael Jordan, and othersfrom his lifelong fight for equality for African Americans. "A skillfully told, affecting memoir of sports and social activism." "With its sharp observations about Michael Jordan, Charles Barkley, and the state of race relations in the NBA, Long Shot is likely to cause a stir." “Craig Hodges is someone I looked up to as a child & now as an adult…I read Long Shot in like two hours, I couldn’t stop turning pages. There are so many hooks in it." "Long Shot is a beautifully written, brutally honest book. If you loved the Michael Jordan-era Chicago Bulls, if you love black history, or if you are fascinated by the politics of sports, I highly recommend this book. Simply put: Craig Hodges’ life is incredible and Long Shot is invaluable." 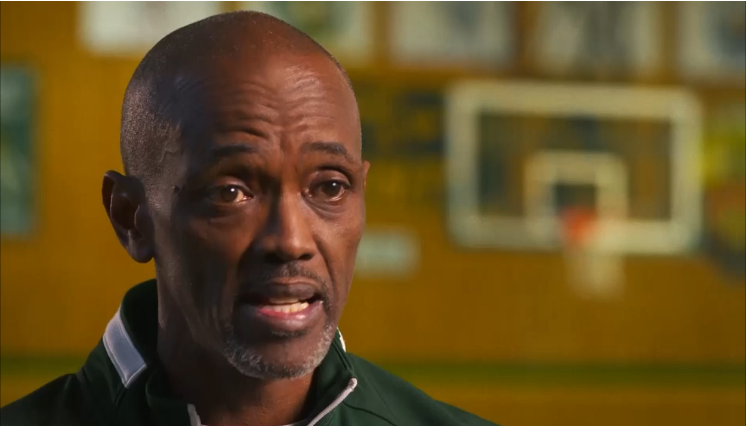 Craig Hodges was featured on Inside the NBA's MLK Day Special. Former US Army Ranger walks across America for a fallen comrade and finds his voice as a war resister.